We currently have a trial to Birkhäuser’s Building Types Online, expiring 6th June 2016. 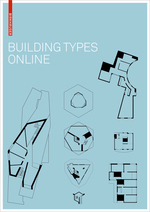 The 850 contemporary building studies included in this database are drawn from existing Birkhauser publications and include examples of housing, office buildings, museums, schools, libraries and industrial complexes. The database is searchable by building type, country, architect, year of build, urban context, morphological type, height and more. Building studies include text, photographs and drawings, with some of the plans being vector-based and downloadable. If you have not already received an email with details of how to access this trial, please contact Sarah Nicholas (NicholasS2@cardiff.ac.uk).